Hello readers! 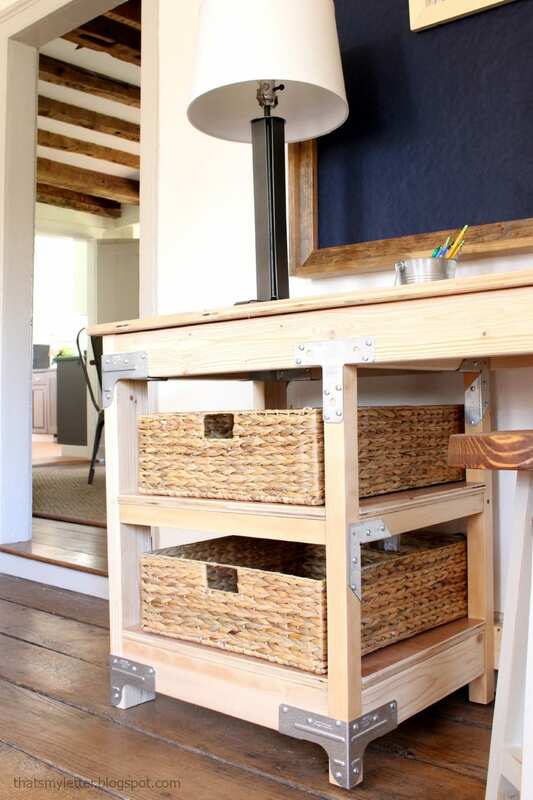 I’m over at Simpon Strong Tie’s blog today sharing my industrial workbench inspired desk. 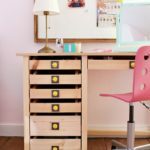 I built this desk using their Workbench or Shelving Hardware Kit and basic off the shelf lumber. It’s got plenty of workspace, open shelves for storage and it’s solid as a rock. 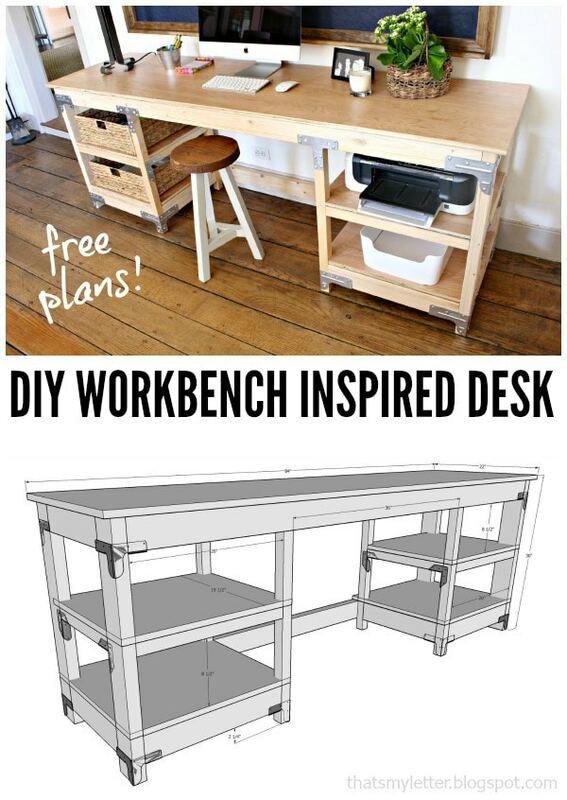 A DIY tutorial to build a workbench inspired desk. 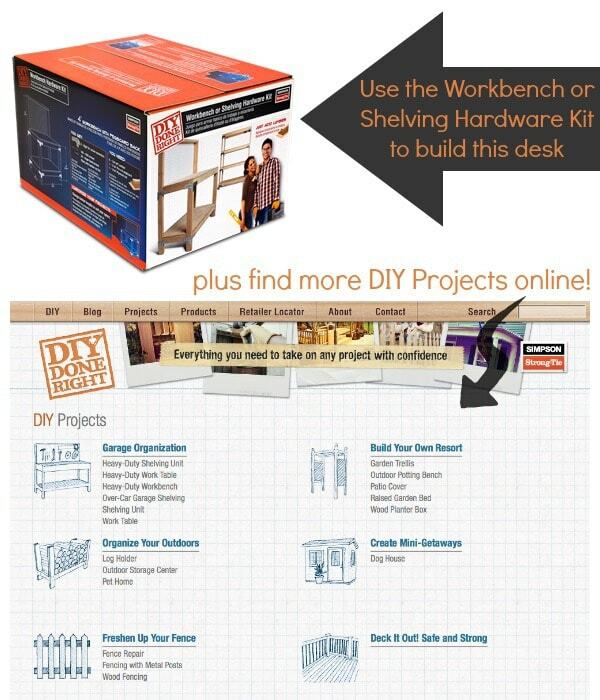 Use Simpson Strong-Tie connectors and fasteners to build a solid wood desk with shelving. Click here for a free printable version of the plans complete with step by step instructions, materials and cut lists. 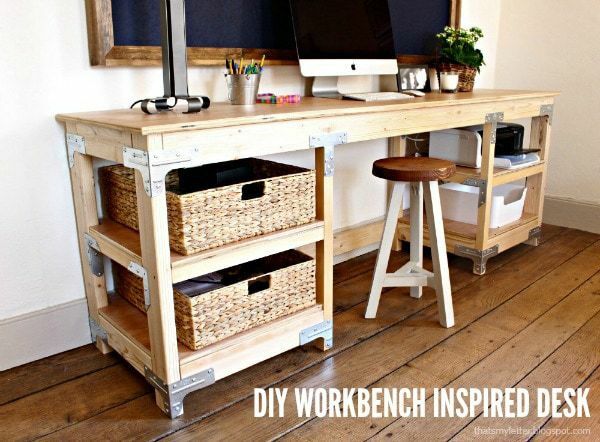 You’ll have a grand workspace that you’ll never want to leave! I love the contrast of the metal hardware against the warm wood, wouldn’t this be fun in a office setting with lots of different configurations?! 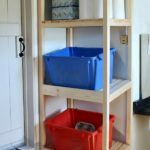 You can easily modify this to fit your space and make it custom. 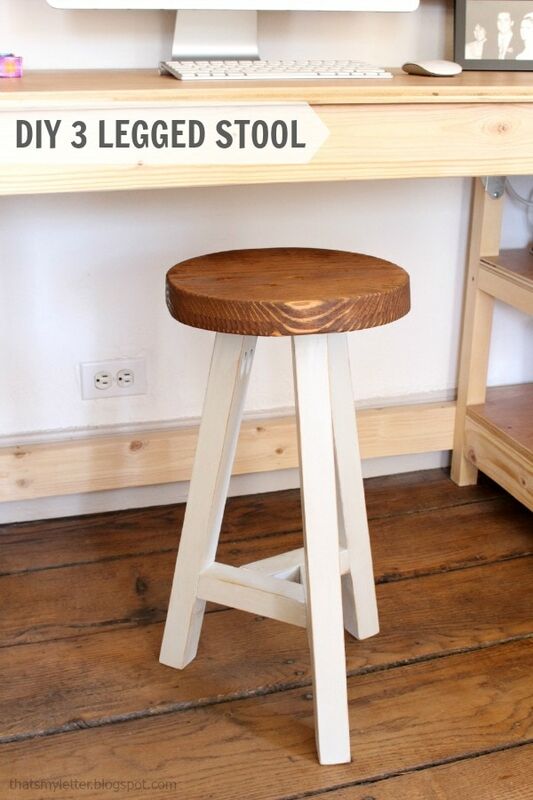 And if you’re curious about the stool click here for plans. Disclaimer: I have partnered with Simpson Strong Tie to bring you this desk. I was provided materials and/or compensation to create and construct this desk. All opinions and thoughts are my own. Looks fantastic. So functional too. love this! 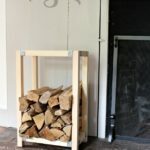 the industrial look is so great, and it looks so stylish and useful! Oh my gosh, I love this so much. What a great desk! So beautiful! LOVE that massive workspace! looks great! is there a single document download available? IN the instructions it says you used RTR connectors to attach the plywood on top. Did you mean to write A21 connectors. If so what size screws did you use to attach the top of the desk. Did you ever get an answer for this? I was just looking at the plans and noticed the same thing. Help please! Thanks for flagging this, yes Shawn is correct it should be A21 connectors to attach the top. 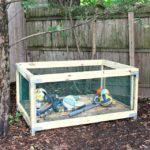 Thank you Shawn yes the plywood top is attached using A21 connectors and I used #8 – 1/2″ screws.